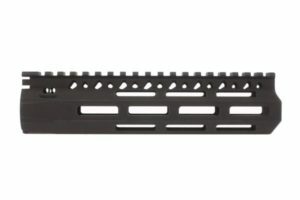 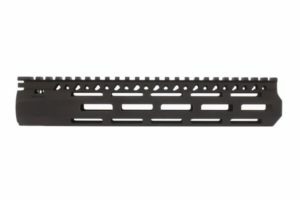 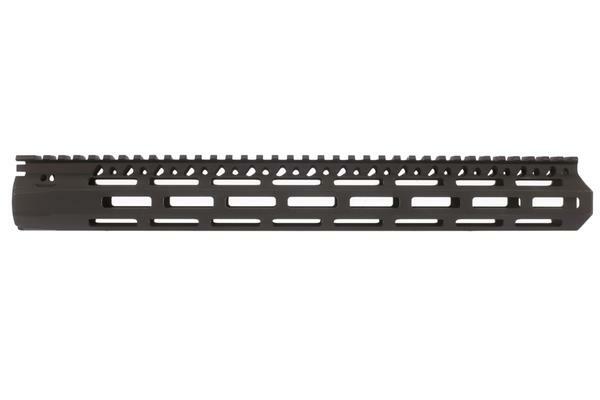 This 10 inch AR-15 .223/5.56 slim ultra light Keymod Handguard Made with one piece construction from light weight Aluminum. 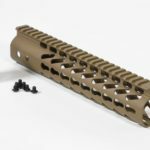 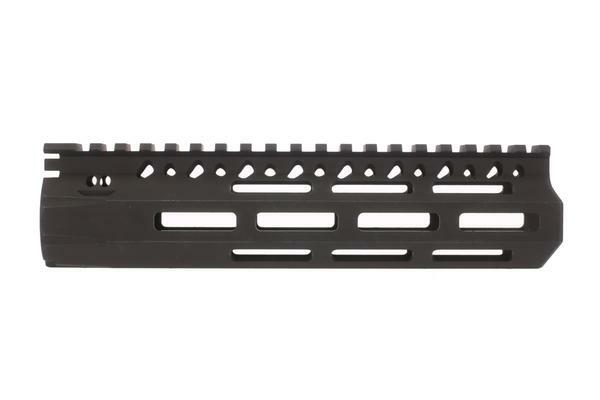 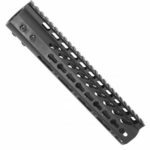 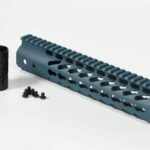 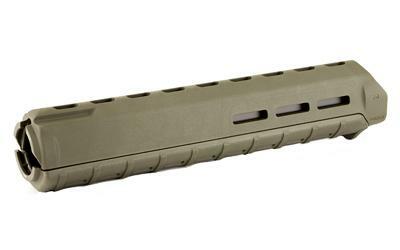 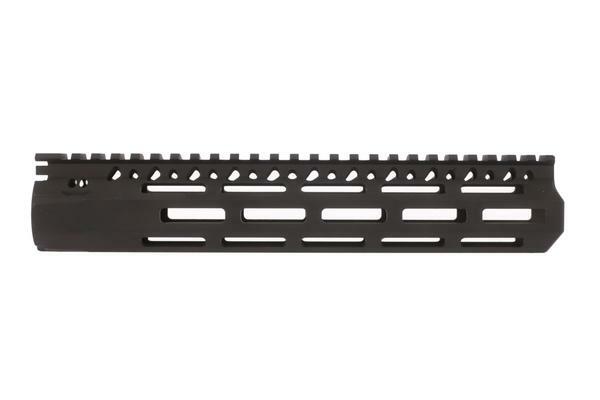 It features keymod accessory mounting at 3,6,9 o’clock positions and a 1913 picatinny rail section at the 12 o’clock position on the full length of the 10″ handguard. 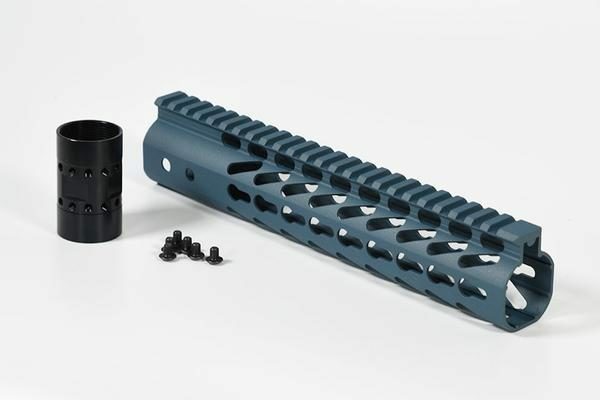 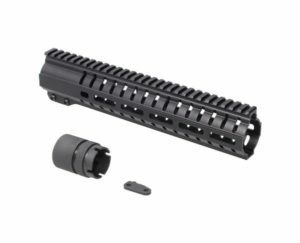 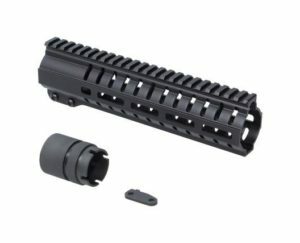 The keymod system allows for the use of accessories and accessory rails from most manufacturers of the modular keymod parts. The Cerakote gun coating surface is tough, durable, and easy to clean. 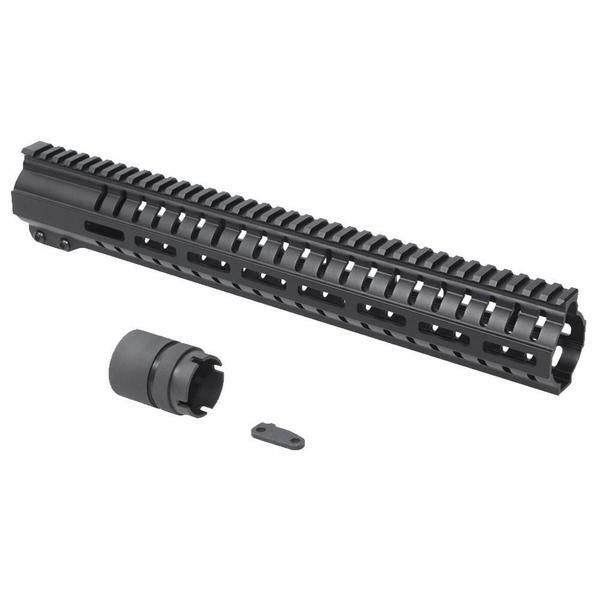 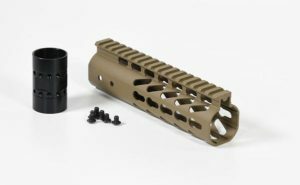 Fits any Mil-Spec AR-15 Upper Receiver including billet and forged parts. 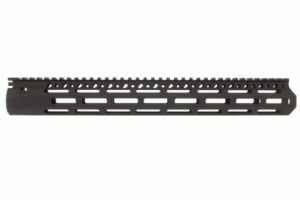 The tight tolerance high quality cnc machined 10 inch keymod handguard allows for mounting of lasers, lights, sights, grips, and more.